While training Wes to take over our West side carpet repair efforts we stopped by to see Pat. She recently had some new shelving installed in her closet and she was left with some damage on her patterned wool carpet. For many home owners this spells disaster but we were confident that we could make it look new and I think we nailed it. To say the least she was blown away when she saw what we had accomplished and then even more impressed when our price was nearly half of the “big guy” companies quote. 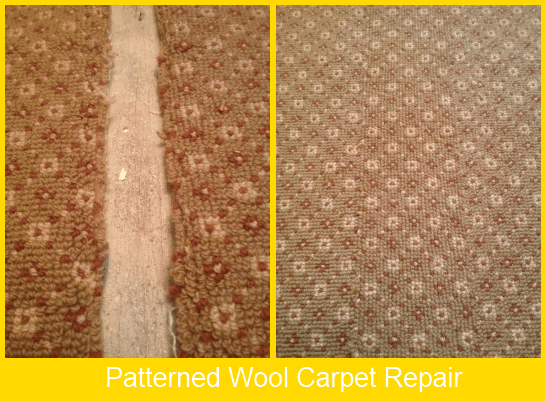 Call us first for your carpet repair needs and don’t forget we will do all of your carpet cleaning too!